The new Seller-Lehrer Family Foundation (SLFF) was founded by Jeffrey Seller, producer of Hamilton, Rent and other big shows, and his partner, Josh Lehrer, a well-known Broadway photographer and documentarian. SLFF gave a multiyear grant of approximately $375,000 with a matching gift component to the Archangel Ancient Tree Archive (AATA) to support its tree-cloning programs. Marty Singer, SLFF director and president, tells us SLFF believes environmental risks “pose the greatest challenge to the planet and deserve immediate attention and action.” He adds that “saving champion trees and planting and nurturing trees delivers immediate benefits to the environment,” such as those mentioned above. 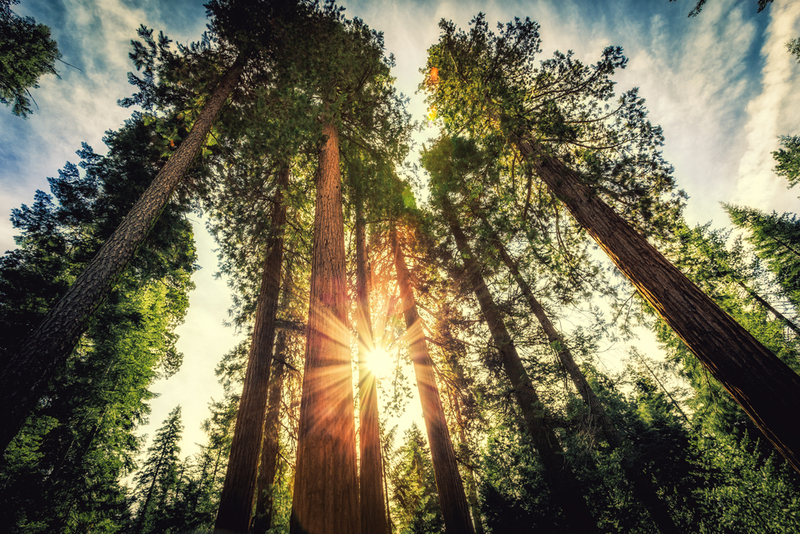 Big, powerhouse trees like coastal redwoods can remove more than 200 tons of carbon dioxide from the atmosphere over their lifespan, much more than the one-ton load of an average tree. Funding for trees typically falls into conservation philanthropy, overlapping with causes like indigenous land rights and responses to climate change. We’ve seen philanthropies take international rainforests and treed areas of the mid-South and Northern California under their wing. Because forest and land use issues link to complex topics like logging, farming, fossil fuel extraction and water quality regulation, tree conservation can be a hard fight. But at times, government agencies, environmental groups, philanthropies, industry leaders and First Nations groups come together to heed the Lorax’s call. We saw this in a forest protection agreement for the boreal forests of Canada a few years ago, which was backed by loyal conservation givers like the Hewlett and Moore Foundations, among others. AATA carries out a unique horticultural process to propagate the world’s largest and most iconic trees—an undertaking it states was previously thought genetically impossible. AATA identifies 100 types of trees as the most ecologically important and plans to clone them all. It has already successfully cloned 19 ancient tree species from North America and Europe, including sequoias, redwoods, Monterey pines, white oaks and black walnuts. It also plans to maintain a living library for future preservation and research. Hundreds of tree samples and saplings are housed in the nonprofit’s Copemish, Michigan, warehouse, where it also runs community education programs for youth and adults. AATA carried out successful reforestation with a new grove of cloned redwoods and sequoias in Oregon, which it states is “thriving after more than one year of growth,” and which it still monitors. In late 2018, a few months before the SLFF grant, it planted 75 ancient redwood clones at the Presidio National Park in San Francisco. AATA saplings are also developing in groves in Canada, England, France, New Zealand and Australia. The nonprofit currently receives funding from the National Tree Trust as well as private donors like the SLFF. With more backing, it will expand its facilities, infrastructure, programming and outreach, and establish an endowment fund. SLFF is based in New York City and started grantmaking in 2018. It plans to support cultural and environmental initiatives, and specifically, public charities with educational, theatrical, artistic, Jewish community and/or environmental purposes. A few of its other gifts to date support dramatic arts (and so also tie directly to the founders’ personal interests). The Mosaic Youth Theatre of Detroit is a grantee that also has a geographic tie; Seller is a Detroit native. The Dramatists Guild Foundation and Artists Striving to End Poverty are among the other early grant recipients. Singer (msinger@adventureland.com) is the contact person for SLFF grant questions and applications.